You know you’ve been thinking about Christmas for the last couple of months – but dang it, there’s two more holidays before Christmas that no one recognizes anymore and you didn’t want to skip them! So it’s a few weeks before Christmas and you’ve gotta buy something – fast! If you’re looking for the best and perfect gift for the blogger, writer, affiliate marketer, online entrepreneur or side-hustler in your life, we’ve gotchu. So what gifts are we going to get our blogger and writer friends? Let’s check ’em out! Everyone needs a portable external hard drive! As an IT technician, I highly recommend having one, and backing up all of your photos and documents every couple of months on your hard drive. You can even take it with you places and save yourself if you have a desktop, (who has a desktop nowadays? I know I know..it’s the support technician in me! And I also highly recommend getting at least a 1TB hard drive. It may seem like a lot, but over time it really fills up, and this will last a blogger and a writer a lot of blood, sweat, and tears if something goes wrong on the computer. Here’s a carrying case to keep the above hard drive safe while travelling! And if you want to really go matchy-matchy (I don’t know a boss babe who doesn’t want cohesive and beautiful tech!) then you could grab your crafty writer an adapter. This adapter will help with all of the various plugins, microphones, speakers, phone chargers, laptop chargers, USB keys and hard drives that you’ll need, when your laptop only gives you one and you need 5! And who can’t love this adorable USB Lipstick Flash Drive, gold piggy or fluffy USB key ball? Carry your photos and blog posts around wherever you go with these adorable devices! If you’ve never heard of Pinch Provisions, they’re one of the cutest little bags you can get for a birthday or holiday gift. I received an adorable red cherry Pinch Provisions emergency kit once – I gotta say, I want about 500 more of them! This one called Screen Queen is for social media mavens who need to stay powered up and ready to go at all times! It comes with a fish eye camera lens, flash drive, wall plug, password hint list, 3-in-1 charging cord, cord wrapper, phone/tablet stand, earbuds, earbud wrapper, and a microfiber cloth at quite the affordable price! This other one called Power Play is another style with similar items. Out of Office is an absolutely adorable dusty blue travel kit for all of your holiday or office travels. Including eye mask, ear plugs, earbuds, deodorant towelette, stain remover, breath freshener, pill container, and more! I’m tellin ya – these are amazing! Lastly we have this Self-Care package, perfect for girl entrepreneurs who don’t treat themselves enough. This one includes some luxurious indulgence with a habit tracker, face mask, lavender oil, eye gel packs, sleep masks and more! For those moments when you’re travelling and your phones battery is on it’s last leg and you spot the perfect photo-op! Don’t worry, you’ve got your power bank on you! Voila – full battery in seconds! Not gonna lie – I’ve heard that some bloggers use these without music to block out any noise and various other coffee shop chatter while working. Get that work done, girl! Just in case you don’t jive with the over-the-head headphone style. Rather than relying on our phones to take photos, up the photo game for your online brand with a new camera bundle – everything you need at a low price! One of the most popular tools for filming videos or taking perfect fashion photographs (for the fashion blogger!) a ring light is required! If you’ve ever seen what these baby’s do, you’ll know why you need to have one! To write blog posts faster, you can just “talk” to your readers. This is one of my secrets to writing long blog posts, quickly! Any online entrepreneur loves to read and continue their education – why not get them a dedicated device to keep all of those personal development books?! Don’t forget the Amazon Kindle gift card for all those new books! So I’m going to put my IT hat on again and recommend laptops for bloggers and writers. If you go anywhere to by a laptop, use these requirements to help you decide what one you should buy. The key to buying laptops for entrepreneurs and bloggers is that a lot of us use heavy software such as Photoshop and photo or video editing software. That means that the more you can pay for, the more you get. You get what you pay for is really key in this situation. Currently on the market there are some good laptops, but my two recommendations are going to be the Windows Surface series or the HP Spectre series. Off my soapbox now, here’s the two best laptops for bloggers and writers that I recommend! Great as a tablet and as a laptop, small and very light for travel, hardy and great for artists – you can’t go wrong with this one. Comparably lightweight similar to the surface, it’s a great value for the quality! This laptop is on my dream wish list if that gives you an idea of how much I love it! Highly recommend! To keep your laptop safe and secure! The Blue Snowball Microphone is actually white, haha, but it’s really such a good quality for the value! I actually get complements with how clear the microphone sounds, even without a pop filter (a pop filter is what goes in front of the mic to get rid of excess mouth or background noise). Something perhaps a bit more colorful to jazz up the old laptop? Lastly, check out this adorable rose-gold tech bundle! Save your eyes while reducing sleeplessness at night using these blue-light blocking glasses! Adorable designs for taking photographs and flat lays! Accessories are key when taking photos for a blog! Best Blogger Gifts: A Blogger/Writer Gift Basket! You can also opt for creating a customized gift basket for your blogger or writer! By putting together a gift basket you can personalize your gifts to really make it special, and show them you really care. You can choose any of the smaller above gifts and put it in a basket, add a bow and voila! Just add some favorite foods, a fancy notebook and a pen, this lovely writers toolbox, some Shakespeare sticky notes, something to break writers block, and you’re golden! RELATED: My Best Books for Bloggers – Psst: Most are $____ or less! From website and technical products to education and social media software, a blogger has a lot to purchase! If there’s anything to help with that – it’s that you can buy it for them! Just start hinting at what they might need or already have! For your blogger who needs photos, graphics, or a new website theme or design, grab ’em a gift certificate to spice up their website! If you know they’ve been wanting a new site design, you can get them a subscription or certificate to let them pick out their own designs! 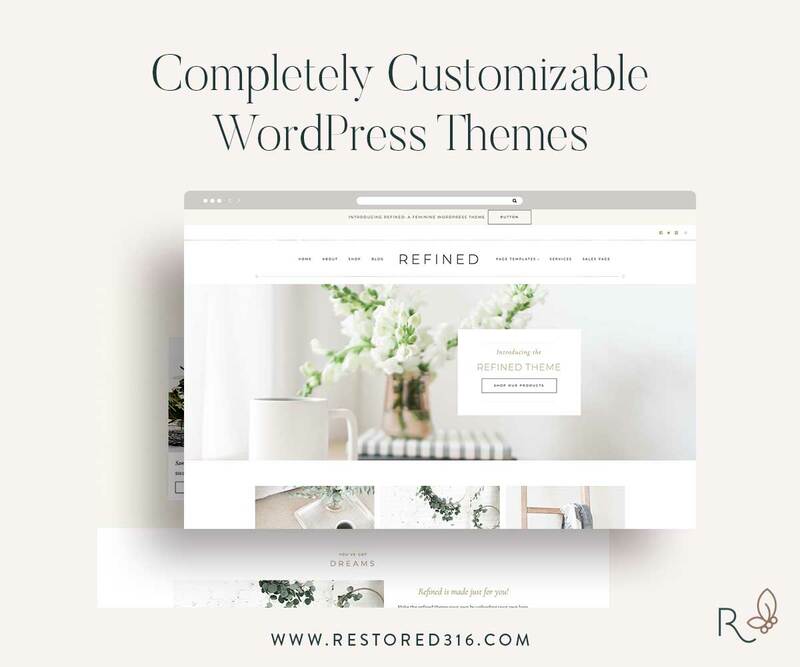 Elegant Themes is a fantastic subscription that includes over 80+ website designs, PLUS the ability to create your own custom website design using a super simple interface, no coding involved! I love this company so much, this is my current website design called the Divi theme! I custom made my website myself, and I gotta say, it’s totally worth it! Other themes require coding, and I don’t have that knowledge. Elegant Themes is totally worth it! If you don’t like the idea of having to design a site, you can look into Restored316’s even more beautiful and already beautifully designed themes. These require a subscription to the Genesis framework, but the themes here are so worth it and absolutely gorgeous! Tailwind is a software to automate your bloggers Pinterest strategy so they have more time to work on other things! Tailwind is the only software that bloggers use to help them with Pinterest! If your blogger isn’t using this, they’re probably spending way too much time on Pinterest when they could be writing or growing their business! Nonchalantly ask them what kind of blogging course they need to take! You can also give your blogger ways to further their education! Do they need to know more about social media? Or maybe they are just starting out blogging and need a course to help them find the ropes with blogging or online business? Creative Live is a fantastic place to find anything you’re struggling with and to master it. 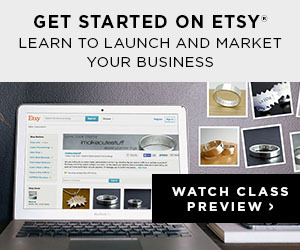 And right now, you can even get Up to $150 Off Top Selling Classes at CreativeLive! For bloggers, they have a course on How to Build a Successful Creative Blog! I hope I’ve given you more than enough ideas for that picky blogger or amazing entrepreneur in your life that insists she doesn’t want anything, but secretly you know she needs some things to grow her business! If the entrepreneur in your life is anything like me and likes useful gifts rather than useless trinkets (unless they’re special, in which case that’s different!) Then they will love any of these gifts this season! Make it a bundle and put it in a basket, add a bow and voila – perfect gift!